In last week’s USA Weekend, “The Doctors”, known best for dispensing expert advice on their popular daytime TV show, explain why varicose veins are not just cosmetic and what you can do to prevent them. Start with lifestyle changes — exercising, elevating your legs and avoiding long periods of standing or sitting can help ease pain and keep veins from getting worse. In some cases, compression stockings may be needed to help with blood flow. For more severe varicose veins, there are a number of minimally invasive options that can fade or remove the vein; newer treatments use laser or radiofrequency to heat and close off the vein. Should You Be Worried About “Economy Class Syndrome”? Concerns about blood clots as a result of Deep Vein Thrombosis (DVT) increase during summer travel season. Blood clots can be dangerous, even fatal – but they can be prevented. 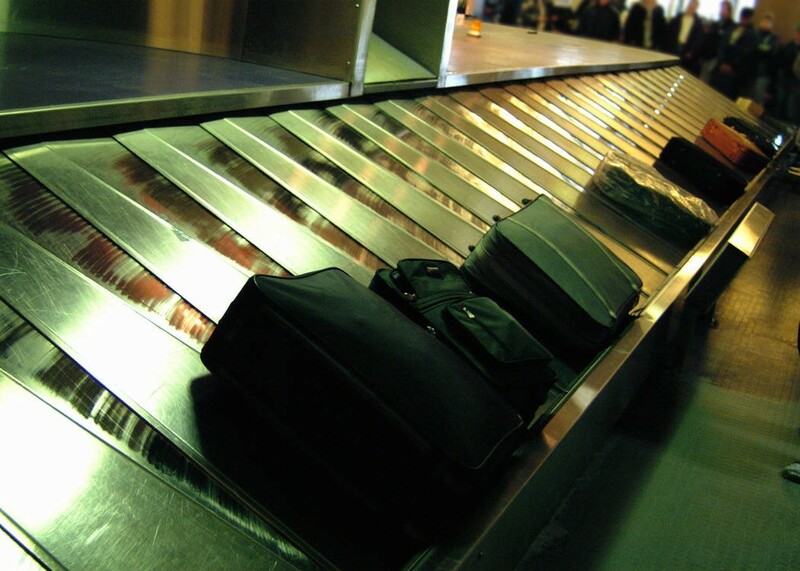 It’s the height of the summer and for many, July marks the beginning of travel season. It’s the time spent en route to vacation destinations that lead to concerns about “economy class syndrome,” a term used to describe leg symptoms that can occur as a result of long periods of immobility. These extended periods of immobility can be associated with deep vein thrombosis, or DVT, a blood clot in the deep vein system. DVT can be cause for concern because the clot could break free from the vein wall and enter into the blood stream, traveling to the lungs and become a PE (pulmonary embolism), or to the brain and result in a stroke. Though a familiar term to many, “economy class syndrome,” is actually a misnomer. DVT can occur in a plane, train or automobile, regardless of what class you’re sitting in. 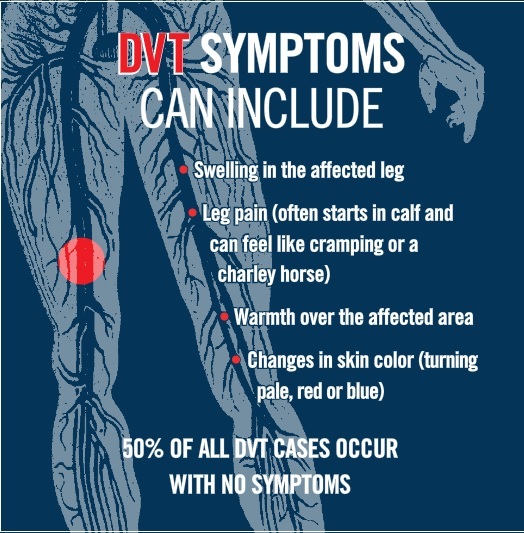 The point is that prolonged immobility can slow down circulation and lead to blood pooling in the legs, which significantly increases the risk of DVT. If you’re planning to go on a long flight (or road trip, for that matter), you can minimize the risk of DVT. First, stay hydrated. Then, make a point of walking in the aisles (or at the rest stop) occasionally. Finally, periodically do simple toe-tap exercises – that means tapping the feet for a minute or two, going back and forth between heels and toes. This “foot pump” squeezes the deep veins in the legs, forcing the blood to circulate. By increasing mobility and making healthy blood flow a priority while you travel, you can help keep blood clots at bay this summer – and any time of year. Are you at risk for DVT? Visit the Vein Healthcare Center to learn about the risks and steps toward prevention. The Centers of Disease Control and Prevention also offers more information about Deep Vein Thrombosis and its symptoms and risk factors. Can a few minutes of strenuous exercise be enough to improve health and fitness? Scientist and journalists continue to focus interest on an abbreviated approach to exercise in an effort to find out whether brief stints at the gym are actually better for health than lengthy ones. 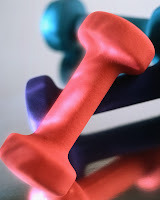 The New York Times discusses their latest findings in the Rise of the Minimalist Workout. Are you moving enough? If you have symptoms of venous disease, taking frequent walking breaks to avoid sitting or standing for periods of more than two hours can alleviate discomfort and help prevent the progression of symptoms. Find out what 10 Things You Can Do for Leg Pain Relief. Summer is the perfect time to make sure you are doing everything you can to relieve symptoms of varicose veins and other vein problems. Varicose veins can worsen during the summer months, so if vein issues are keeping you from enjoying summer activities, making leg vein health a priority can help you take full advantage of the season. Stay as cool as possible. Heat dilates veins and causes pain and other symptoms to worsen. Swim and walk. Both exercises pump the calf muscles and improve circulation. Wear graduated compression stockings. Wearing compression stockings all day will keep the legs feeling as good at the end of the day as in the morning. Stay hydrated. Drink plenty of water and other fluids. Elevate the legs whenever possible. Schedule an evaluation with a qualified phlebologist. 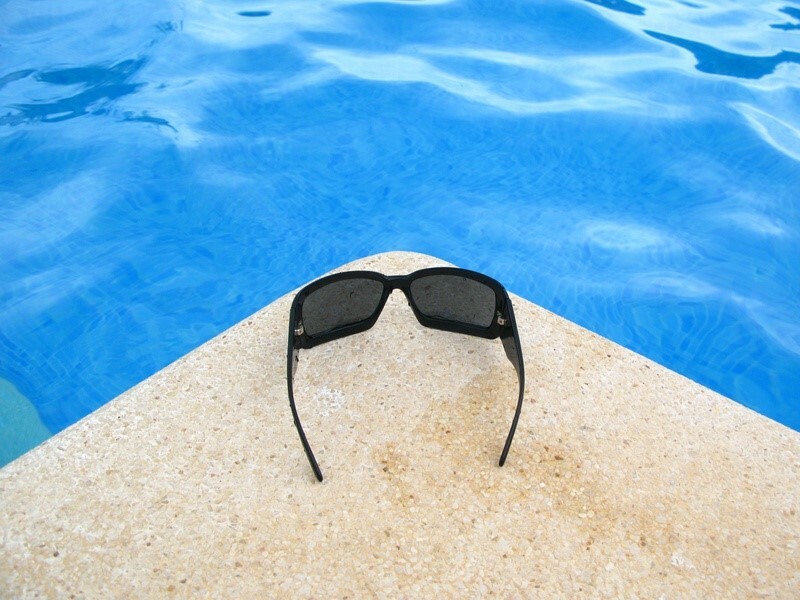 The treatments for venous problems are the same during the summer as the rest of the year. Find out more about vein treatment options and keeping legs healthy by reading Dr. Cindy Asbjornsen’s Self-conscious About Unsightly Veins? Tips for Relief in the Bangor Daily News and leave concerns about leg vein issues behind this summer!